Maxie Heating & Cooling is proud to serve the Pitman community! 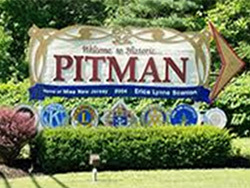 About Pitman, NJ - Happy to be your hometown Heating & Air Conditioning Contractor! The Borough of Pitman is located in Gloucester County, New Jersey, approximately twenty miles south of the city of Philadelphia. Originally established in 1871 as a Methodist religious camp, Pitman received incorporation as a borough in 1905 and is presently home to a population of more than 9,000 residents. Pitman is anchored by a vibrant downtown district that is home to a diverse selection of shopping, dining, and entertainment amenities. Known as Uptown Pitman, the downtown district hosts a number of festivals and special events each year, including the Pitman Grove Festival, Uptown Pitman Music & Arts Festival, and Fourth Friday, a nighttime celebration of music and the arts held May through November with live entertainment, arts and crafts, carriage rides in the park, and more. For a look at Pitman’s rich history, the Pitman Historical Museum features a wealth of information through exhibits, artifacts, and memorabilia relevant to the history of the area. Additionally, the entire area known as Pitman Grove is listed on the National Register of Historic Places and features a number of historic structures of interest, including the circa 1882 Camp Meeting Auditorium. Known for its progressive economy, excellent schools, and fantastic community amenities, the Borough of Pitman is a great place to live, work, and raise a family!